title company | Getting to Less: Downsize! Yesterday I did the deed. Or more accurately, I paid Chicago Title a queen’s ransom to do the deed. For them to guarantee that there were no liens against my property I paid more than $1,500. I also paid the realtors (mine and the buyers’) a commission of $21,000 and (state and local excise) taxes of $7,500. In other words, it is very expensive to sell a house. Nobody mentions this when you’re in the lustful phase of buying a house. When you sell all those fees you avoided up front as a buyer come back to bite you. Too late you realize they should be figured into any profitability equation. The pain in my purse would have been less if home prices hadn’t plummeted in the past couple of years. To console me, my realtor brought a bag of handmade chocolate-coated toffee to the signing. Ah well, what’s done is done. I loved the house, I loved transforming it into a thing of beauty and functionality, I loved living there. The money I lost is just the money I lost. Right now the house is empty but for the stuff I plan to carry in the car during a two-month stint of staying at other people’s house. So today is about packing the last remnants and final cleaning. 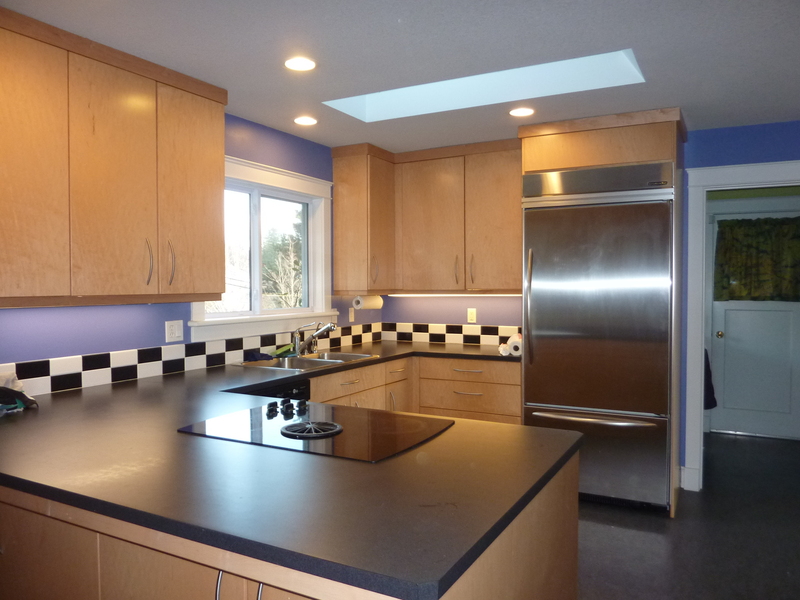 Here the kitchen looks as pristine as the day I finished the remodel.